I’ve been drinking bubble tea since 2007, when my first curious sip of it in Singapore led to a love affair for the ages. No one was more excited than I was when the bubble tea craze started in Manila two years later. I went to Taipei twice, and both times had bubble tea almost every day. All of this to say: I’m a huge fan of bubble tea and have my own particular standards for it. While I have a personal favorite in San Francisco, I still try to sample various bubble tea places when I travel. 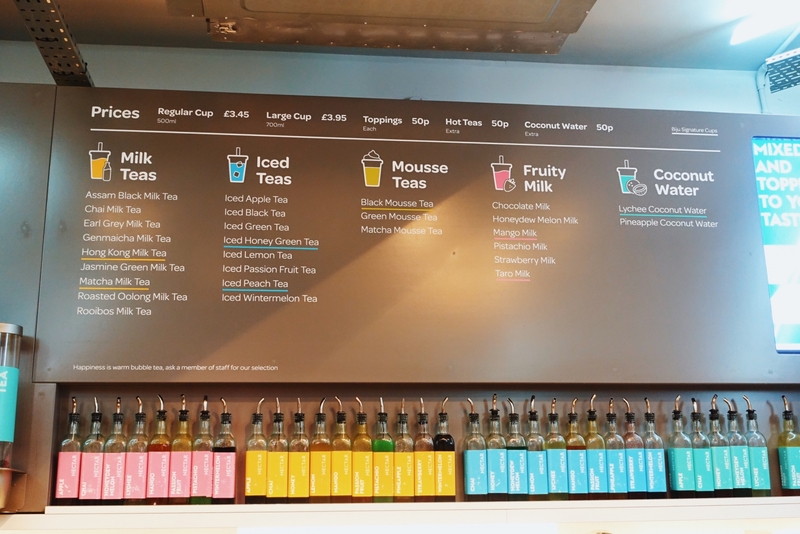 It didn’t take me long to discover that London had a flourishing bubble tea scene. On our very first evening there, while walking through Chinatown, I spotted a bubble tea place, and then another, and then another. I just knew I could not leave London without trying at least one bubble tea place. Tea — Tea taste and quality. Made with real tea. Not overwhelmed with powder, a powder-like taste, or artificial flavors. Sweetness — Sweet, but not too sweet. Creaminess — The right amount of creamer or milk. I prefer creamer, which stays true to bubble tea’s Taiwanese roots and caters to the lactose intolerant. On the other hand, milk adds a certain depth of flavor, so I don’t mind it occasionally. Toppings — Topping taste and quality. Tapioca pearls should be slightly sweet in a neutral way. The drink’s flavor should come from the tea, not the pearls. Chewy tapioca pearls are best—not too hard and not too soft. Tea-to-Topping Ratio — I prefer around 4:1. Most places have a higher ratio, which means a smaller amount of toppings. Temperature — The right amount of ice. Also, the tea should be cold (or at least cool) when it’s served, so that the drink’s temperature isn’t dependent on the ice. I don’t like it when the ice melts right away and makes the drink watery. Packaging — Cup is plastic-sealed instead of having a separate lid. This makes it easier to drink on the go or take it home without spilling. 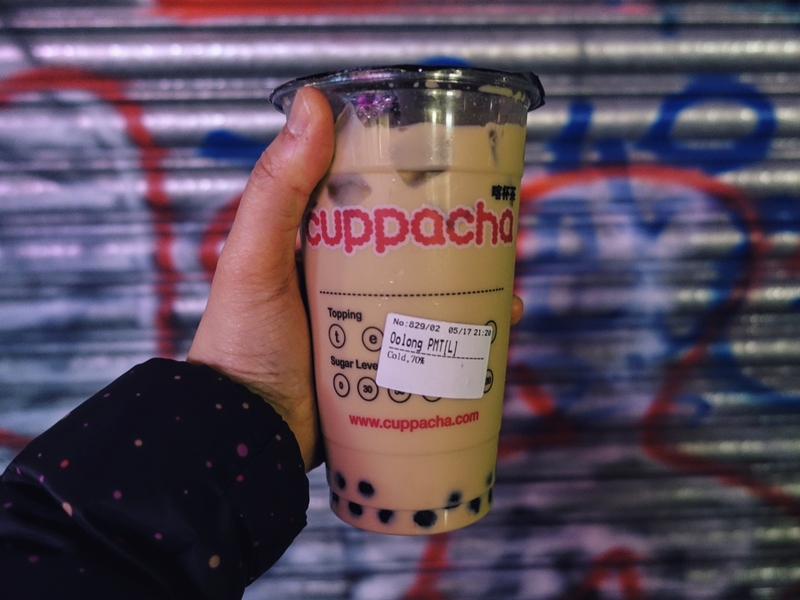 Here are the bubble tea places I tried in London. All drinks I ordered were the iced versions. Green tea with rock salt and cheese. This was iced green tea topped with a layer of cream cheese whip and a pinch of rock salt. Creaminess — N/A. I count the whip as a topping. Tea-to-Topping Ratio — Good. There was definitely enough cream, and it contrasted well with the light green tea. Packaging — Separate lid. This was expected. Based on trying Happy Lemon in various cities, this drink isn’t usually served plastic-sealed. You’re supposed to drink it from the cup without a straw so you can enjoy the cream topping. 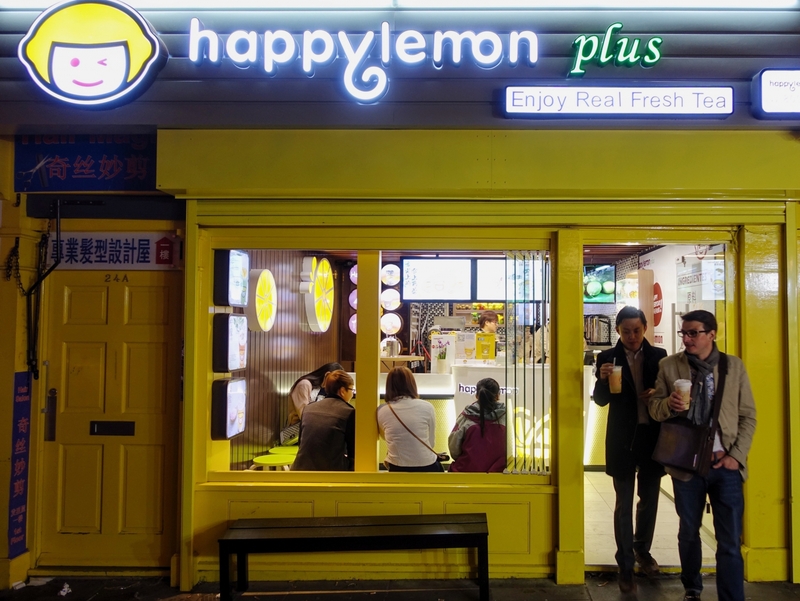 Brand Origins — Happy Lemon started in Hong Kong in 2006. Additional Notes — It was perfect. It tasted just like it did in Manila, where I used to drink Happy Lemon all the time. Roasted oolong pearl milk tea with 70% sweetness. Oolong tea is a semi-oxidized tea whose different kinds vary in flavor. Depending on how it’s produced, it can be sweet and fruity, woody and roasted, or fresh and green. Sweetness — Rather bitter. 100% sweetness would have been good. Tea-to-Topping Ratio — I would have liked more pearls. Packaging — Plastic-sealed. Regular and large sizes available. Brand Origins — Cuppacha started in the UK. Assam milk tea with pearls. Assam tea (named after the Assam region in India) is know for its body, briskness, and malty flavor. It’s often sold as a breakfast tea. Tea — It was definitely authentic tea, but I didn’t like the flavor itself. It was too bitter—and not the kind that could be helped with more sugar. It was a trait of the tea itself, plus it might have been brewed or steeped too long. Sweetness — Too bitter; see above. Creaminess — Good. They use fresh organic milk. Toppings — Perfect. The pearls were chewy and slightly sweet. Brand Origins — Biju started in the UK. Additional Notes — N- got an Earl Grey milk tea, and I liked it better than my order. Seating — Biju had the best cafe out of the places I tried. They had ample seating—not completely comfortable, but hip and spacious. The seats looked like bleachers and made me think of of High School Musical. Rating — 3.5/5 for my drink. 4/5 for N-’s. Oolong tea mousse with pearls. 80% sweetness. Chatime’s tea mousse drinks are iced brewed tea topped with a cream whip. They’re much like Happy Lemon’s rock salt and cheese drinks, except the whip is non-cheesy. Sweetness — Could have been a little sweeter. Toppings — Perfect mousse. Perfect pearls. Tea-to-Topping Ratio — Perfect. But this might have been because I had both cream whip and pearls. 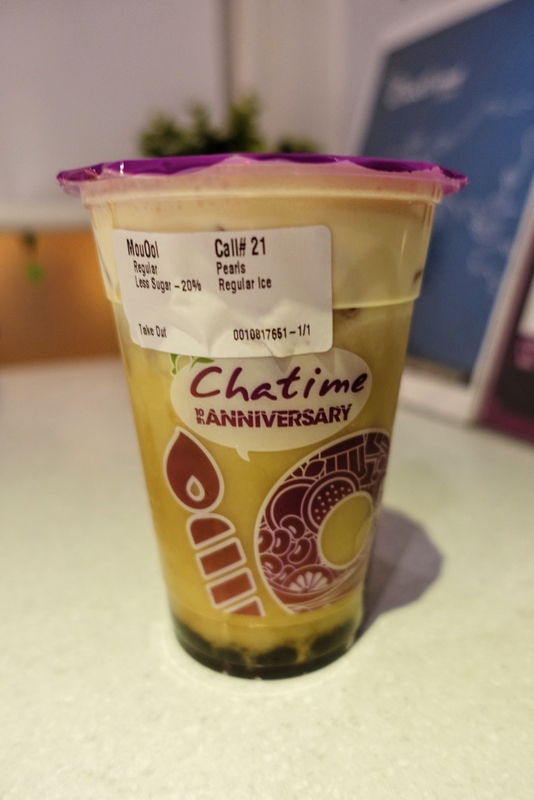 Brand Origins — Chatime started in Taiwan in 2005. 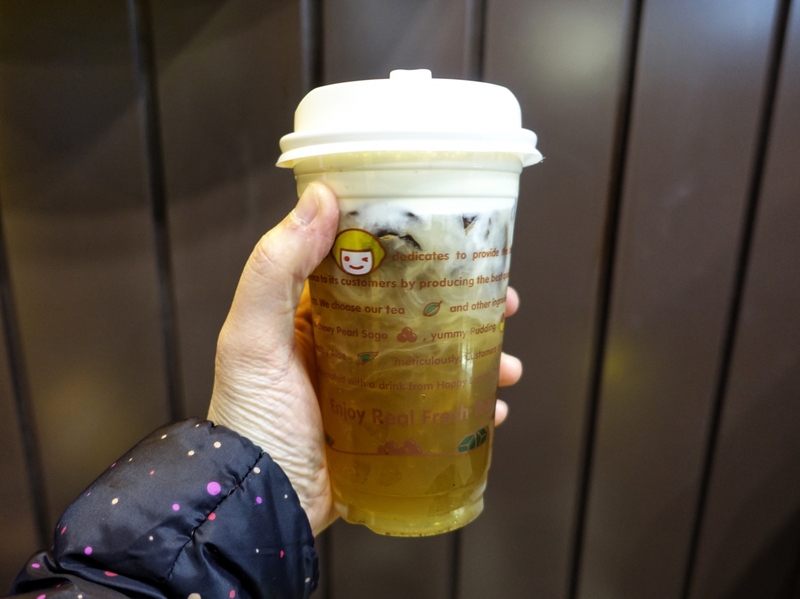 Additional Notes — My first choice was roasted tea mousse (my Chatime go-to drink), but they were out. Still, I was satisfied with this one. Pretty much the quality I would expect from Chatime. 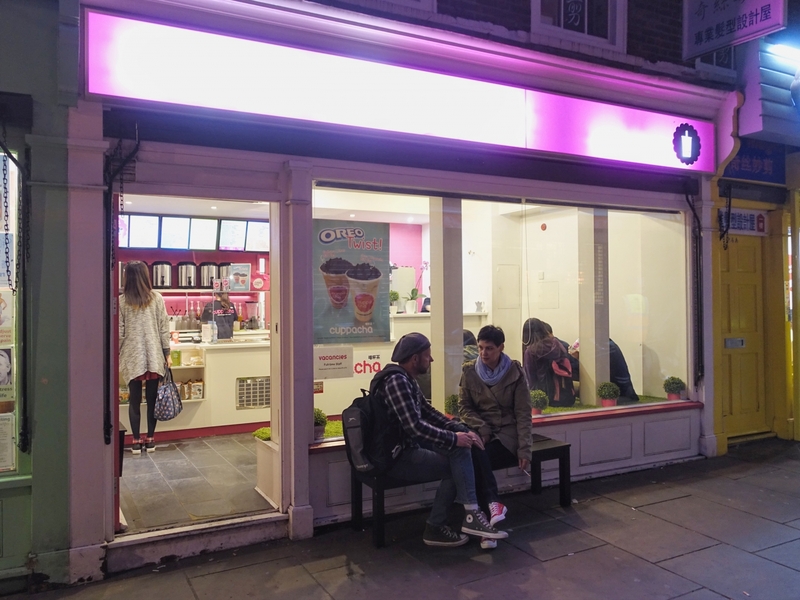 There are multiple Chatime locations in London. I’m linking below to the one I went to. Okinawa milk tea with grass jelly. Okinawa is one of my favorite bubble tea flavors. When done right, it’s a rich, full-bodied tea with hints of brown sugar and the slightest of nutty undertones. Tea — I barely tasted it. Sweetness — I should have adjusted this. It was way too sweet. Toppings — The grass jelly wasn’t bad. It was on the firmer side and cubed, whereas I prefer large jelly pieces with a flan-like level of firmness. Still, it wasn’t too firm, and it was still good. Tea-to-Topping Ratio — Don’t know; didn’t finish the drink. Brand Origins — Boba Jam started in the UK. Additional Notes — The drink was so sweet I couldn’t finish it. I guess Boba Jam just… wasn’t my jam. Seating — There was a lot of seating but it was very crowded. The business has since moved. I’m linking to the new location below. Brown rice milk tea with grass jelly. 80% sweetness. Brown rice tea (genmaicha) is green tea combined with roasted brown rice. It has a light roasted flavor with a hint of nuttiness. Tea — Excellent. 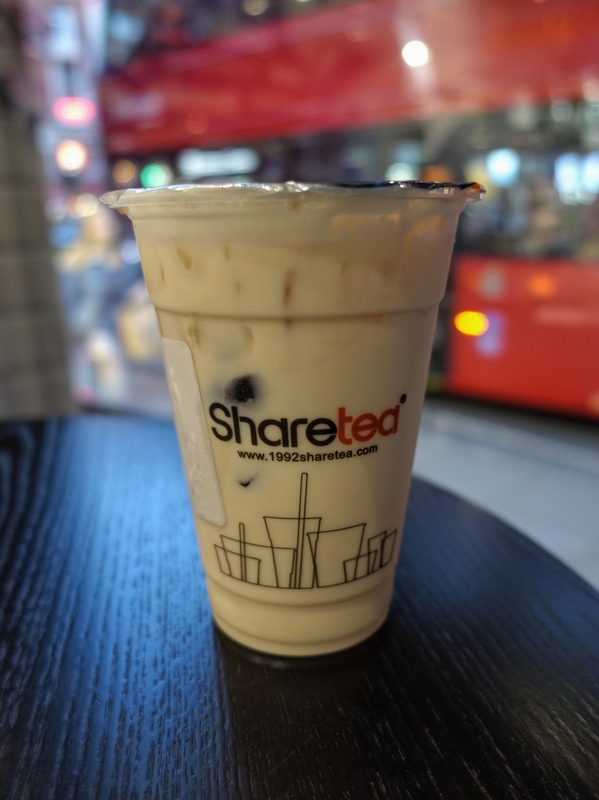 It tasted just like San Francisco Sharetea’s, where the brown rice milk tea is one of my favorites. Creaminess — This is where the drink fell short. It was very heavy on the creamer. The refreshing lightness of brown rice milk tea is really the best thing about it—so this ruined the drink for me. Tea-to-Topping Ratio — Not enough grass jelly. 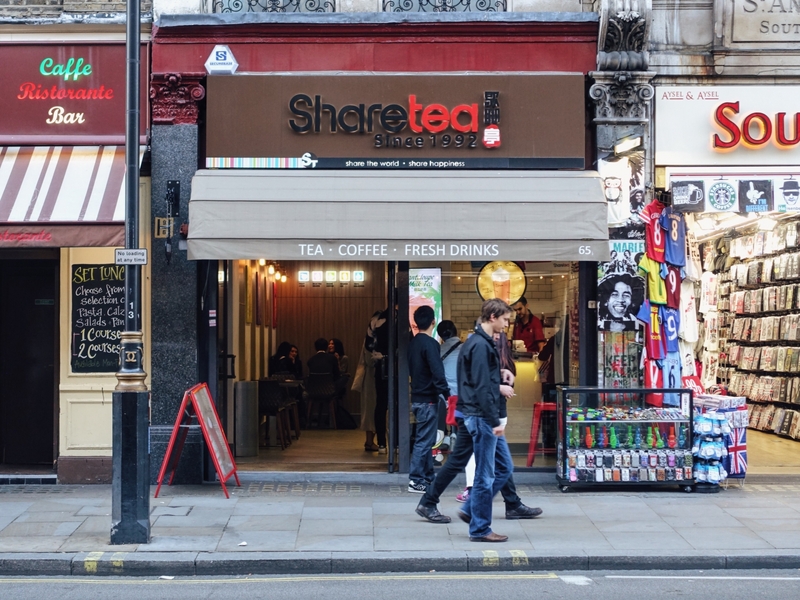 Brand Origins — Sharetea started in Taiwan in 1992. Additional Notes — I couldn’t finish this drink due to the overwhelming amount of creamer. Seating — Sharetea had some seating but only a small number of tables. Happy Lemon and Chatime were my favorites. I love trying local brands to see their own spin on beverages, but I find that Asian franchises still offer the best bubble tea worldwide—at least according to my preferences. It was no different in London. I would be willing to try all these places again except for Boba Jam, which was more of a dessert place than a bubble tea cafe. It was clear that bubble tea was not its specialty. 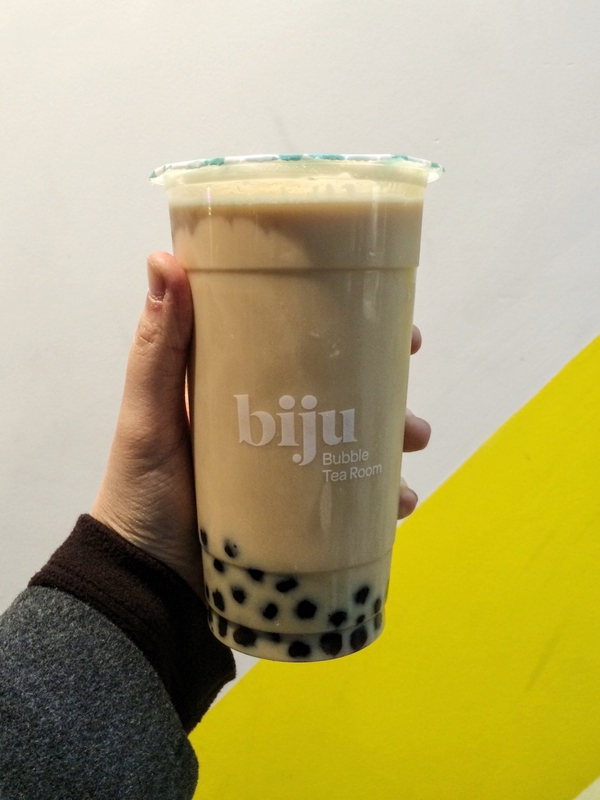 If you want seating, go to Biju Bubble Tea Room or Sharetea. All the places I tried priced drinks at £3 to £4 per drink. They were all in Chinatown. Boba Jam has since moved to another part of the city. Based on this experience, 80 to 100% sweetness would be my preference in London. The places I liked didn’t serve bubble tea too sweet at all. For comparison, I usually order 50% in the US and Manila. 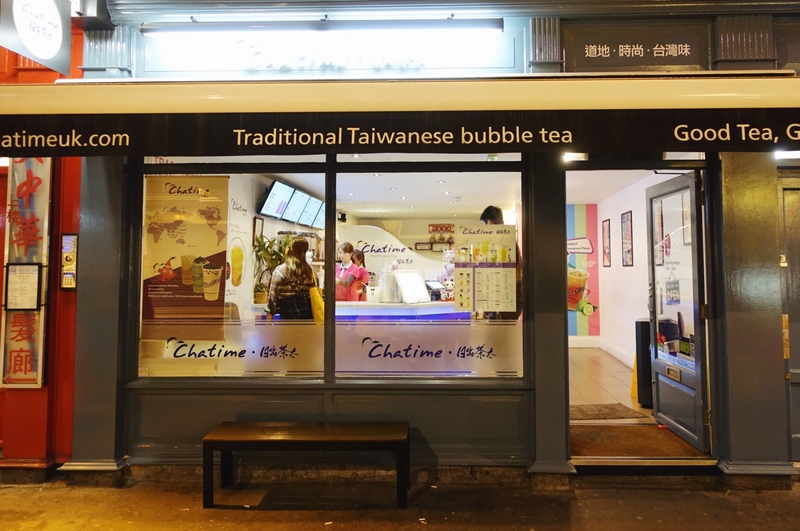 Bubble tea isn’t something you’d typically associate with London. But if you want to have authentic Taiwanese bubble tea and just happen to be there, it’s definitely worth a try. 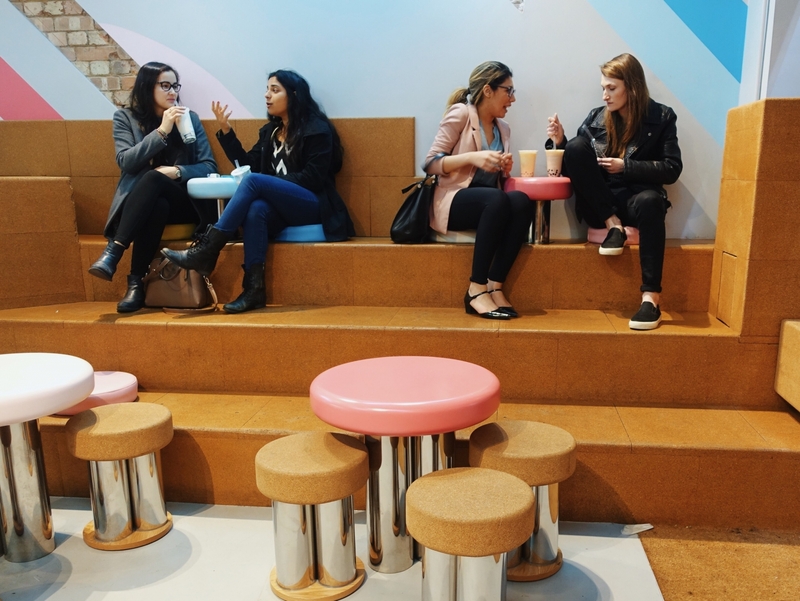 I’ve found it difficult to find good bubble tea in the European cities I’ve visited, so the presence of so many bubble tea shops in London—not just franchises but also their own local spots—was a pleasant surprise. Chinatown is well worth a visit for the food, so you might as well have some bubble tea too.